It's almost the end of the long presidential campaign and all that's left is Election Day. If you voted early you don't have to worry about making it to the polls in-person. But Election Day voters may be wondering what time polls open so they can best plan their schedule around exercising their constitutional right. In the majority of states, voting begins at 7 a.m. local time. However, in some states, you can begin voting as early as 6 a.m. local time. In other states, however, you may not be able to vote until after noon. In North Dakota, for example, precincts with fewer than 75 votes in the last general election don't have to open polling places until 12 p.m. local time, according to Ballotpedia. To be completely sure about polling hours, you can call your local supervisor of elections before heading out. The U.S. Election Assistance Commission lists contact information for supervisors in each state in its voter guide. And in other states, there are no polling places. Oregon and Washington are both elections-by-mail states. In Oregon, voters can still vote on Election Day at a local municipal clerk's office, and all ballots must be in by 8 p.m. PT. Washington, on the other hand, doesn't have polling places, and ballots must be postmarked by Nov. 8. Ballots can also be returned in person to the county elections department or a designated ballot drop box, as long as they are returned before 8 p.m. local time. Some states have longer voting hours than others. Hawaii's polls, for instance, are open for 11 hours, while polls in New York, the state with the most voting hours, are open for 15 hours, according to the Washington Post. Adak, Alaska's precinct will be the last open polling place in the United States on Election Day, Ballotpedia reported. Other Alaskan precincts are open until 8 p.m. local time. If, like millions of other Americans, you have to work on Election Day, you might be able to get some time off to vote. And if you're lucky, that time will be paid. 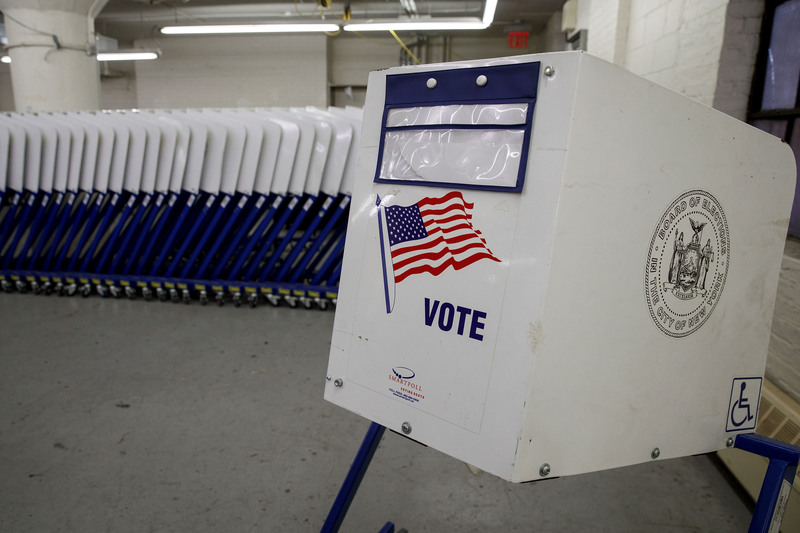 While there is no federal law concerning time off to vote, states have their own policies. Many states, including California and New York among others, allow up to two hours of paid leave for voters. Earlier this year, President Barack Obama voiced his support for making Election Day a national holiday, and he's not alone. A campaign, "Take Off Election Day," promotes the idea of paid time off to vote. And some companies are in fact giving their employees a paid holiday on Election Day, CNN reported. Hopefully by the time the next presidential election rolls around, leaving work to vote will become even more accessible.